Porcini Mushrooms – The real ones, certified Italian!!! I always loved Porcini mushrooms, but I stopped cooking with them when I learned that most Porcini mushrooms sold in food stores and supermarkets come from (mainly) China or other countries like Romania, Turkey or Poland. Of all the porcini sold, I’m told, optimistically, only 2% are Italian. Not any more! Our Porcini Mushrooms just arrived in our warehouse: their fragrance, color and texture are similar to nothing you have seen before because this is not your usual Chinese fare. These mushrooms are beautiful. How do I know that they are from Italy? 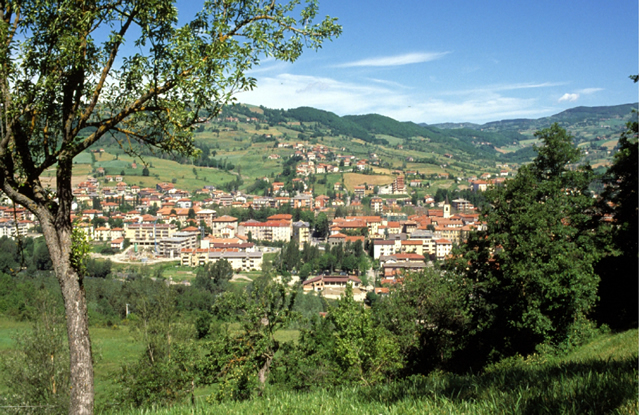 They are not only from Italy, they are from Borgotaro (pictured above), an area in the Appennine mountains where Emilia Romagna, Tuscany and Liguria meet; an area where the woods, the climate and everything else is so porcini-perfect that the European Community assigned the IGP status. These are the Dry IGP Borgotaro Porcini mushrooms. They are so fragrant and fleshy, you’ll need much less, when you cook. Here is our great recipe for Risotto ai funghi porcini. Next Post Gustiamo Is the Best! 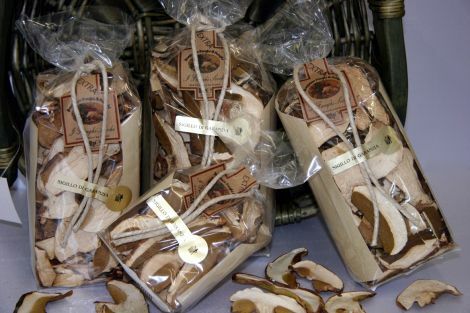 where can you get fresh porcini mushrooms from Italy in the USA? love the site and the products and the way business is conducted. would it be possible for you to provide a few other porcini recipes? – to Patricia: i don’t know. it is a seasonal product and needs to be consummed very fresh. i always cook with our dry porcini: when they are brought back to life, they taste much better than any fresh ones you can find in this country. – to Sheri: for dry porcini recipes, look at http://gustiblog.gustiamo.com/pages/porci.shtml.